Home Technology What is NFC Technology? All of you must have heard about NFC sometime or so. But do you know what this NFC is and what is the use of it ? How can we use it or use it in my mobile ? What can you do with this help ? And how profitable is this technology ? This NFC is the full name of Near Field Communication. It is such a technology which can communicate at a distance of less than four to five centimeters. It makes a very fast communication. When it is communicated, the battery consumption is also very low. And it is very easy to use it. Whenever any device communicates, it needs an antenna. Whether it's satellite, mobile, or any device. NFC's antenna occurs at different places in different phones. This antenna is placed in the back cover of any phone in a phone, on the back of the battery. What this antenna can do - what can work. Can send some information. Can get some information. Also Read : How to Remove Malware From PC ? Now let me tell you 5 of NFC's uses that will make you better your mobile life. 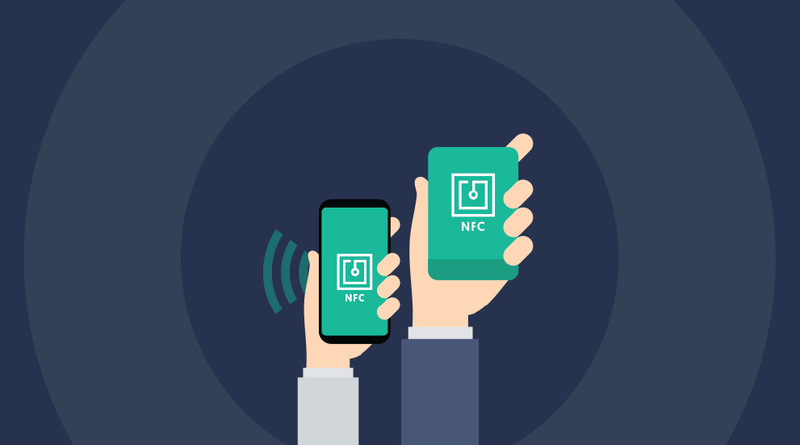 With the help of NFC, you can easily transfer data from one mobile to another. Suppose you have two such phones which have NFC. Keep them interacting with each other, then send the data from one mobile to another. You do not have to do any pairing like bluetooth and do not have to put any code like wifi. You bought a bluetooth speaker. So what was the first thing that you need to open bluetooth of your mobile. Open the bluetooth of the new device. Then search for pairing both, then enter the code then by going to any device, connect to your mobile. This is a long processor. It's hard for a new user. And he used to take a lot of time. But power up the bluetooth speaker in NFC and then open the NFC on your mobile and then touch it with the speaker. Your speaker is now connected to the mobile. Today samsung pay, android pay, apple pay is quite fame. All of this work on NFC only. The terminal on which you swipe the card. That terminal is NFC enabled. And you have saved the information of the credit card / debit card in your phone. Then you can open the software and open the software and then touch the swap terminal. Your payment will be made. You do not need a card. The card does not need to swap. Just need to touch your phone with a swap machine. This is a small tag in which you can save small data. It can be your contact detail. Your wifi password can be. These cards are easily available and you can configure them very easily. Suppose you have saved your wifi password in this tag and hung one in the corner of the house. Now you have a guest and he has to use wifi so now you do not need to tell him his password. Bring the guest's mobile to your home's NFC tag and touch it. Your wifi password will run in the mobile. And they will be able to connect to wifi. Or if you put this tag in your car then you can connect your mobile to the stereo of the car. Or connect to the car navigation. This type of card is very popular nowadays. It has a chip which is enabled by NFC. And as soon as an individual touches the NFC of the mobile with that card. So whatever additional information you have about your card or business is with that card. Its mobile is displayed in the display. And all this information is saved in its mobile as a contact. In this you can enter the link of your website, social media link Or add photos.